As Facebook and Google had taken over the digital advertising space, it has become harder to build a media company on an advertising-based business model. Indeed, where it made sense a few years back to offer a product for free and sell advertising on top of it, the consolidation of the advertising industry on the hands of the duopoly Facebook–Google has made it too hard nowadays. While Amazon might become the third to enter the digital advertising oligopoly, that also means opportunities to build an advertising-based business model have become scarce if not negligible. Indeed, for almost two decades, publishers have managed to keep an essential chunk of advertising revenues, as there was an implicit agreement between Facebook, Google, and those publishers. Where the two tech giants kept sending qualified traffic to those publishers. Publishers, like Slate Magazine, which had relied on Facebook for a good chunk of their qualified traffic had a slap in the face. Slate which in 2017 had an average of 25 million unique visitors per month might have struggled since then to keep its traffic at those levels. If this scenario seems threatening, there has also been another epochal change, where Google, once providing as many clicks on its search results pages to publishers by making content available via its search algorithms. It also steadily reduced the amount of traffic toward those publishers. As reported on an analysis from SparkToro and Jumpshot, if we look at the number of visits on Google search results pages which don’t result in a user leaving Google pages to go on a publisher site, the numbers have been growing consistently. While on Desktop the effect is still limited, on mobile the impact is massive. Indeed, if in 2016, 31.4% of searches on the desktop didn’t convert into clicks toward other sites. In 2018 that number grew to 34.4%. Instead, on mobile in 2016, the so-called no-click searches represented about 55.6% of the traffic, wherein 2018 those represented the 61.5%. In short, on a hundred people landing on Google, only nearly forty would leave its results pages to visit publishers’ web properties. Facebook users might have slowed down in Europe its revenue per user has increased. However, Facebook advertising is getting traction thanks to mobile advertising. Besides the fact that Facebook is finally pushing on the monetization on Instagram and it is introducing business ads on WhatsApp. Google advertising network also seems to be quite robust and profitable. With over 86% of revenues coming from advertising in 2017, Google still is the largest digital advertising platform (with its Google Ads, former Google AdWords) on earth. With this landscape, there is no other choice for those launching a media business than to opt for a subscription-based business model. The New York Times made over $1.6 billion in revenues in 2017. Its monetization strategies based on both subscription (both print and digital) and advertising (both print and digital). NY Times has successfully managed to shift its business model over subscription over the years. As of 2017, subscriptions contribute more than advertising to its revenue generation. The subscription revenues primarily based on print have also been slowing down, while digital subscriptions have increased substantially. The NY Times is shifting toward a digital subscription business model. Traditionally the media industry has used a mixture of a paid and free to gain traction. While the paid the price for a newspaper would need to be very low, while revenues primarily came from advertising. A significant shift is happening also for large publishers like The New York Times, where between 2011-15 subscription revenues surpassed advertising revenues. While most of those revenues still come from print, it is not too far fetched to assume the landscape might completely change in the coming decade in favor of digital subscriptions. As other media companies and tech giants are pushing to convince billions of people to switch to subscription plans, the time seems to be mature for the Paywall Economy. Tech giants like Netflix, Amazon Prime, YouTube Prime, Spotify, and many others have used us to pay a basic fee to enjoy an ad-free service. And it might not be far from reality to imagine that a base of subscribers might also be willing to pay higher prices for additional services. Thus, new opportunities seem to be on the way. The Financial Times isn’t new to subscriptions. Instead, it has been using paywalls for quite some time. One interesting aspect to notice is that nowadays technology also allows publishers to describe their content without making it necessarily accessible for free to users. In short, in the example above, you can see how the Financial Times uses a vocabulary called Schema.org (developed by Google and other leading search engines in 2011) to describe the content of the page. This makes the page more easy to understand for Google and other search engines. Yet when the user lands on it, if she/he wants to read the content it will need to subscribe to the publication. While in the past it might have been all or nothing. It means there wasn’t too much of an alternative for a publisher to make its content accessible for free to both the search engine and users. Nowadays instead a publisher can explain the meaning of the page to the search engine while blocking access to users. This aligns to an ecosystem where publishers want to build a subscription-based to their content. Business Insider has launched a segment of its media business called Business Insider Intelligence. In that section, you can get reports put together by the research team at Business Insider, which comes at a relatively high price. Let’s see now how you can benefit from this scenario to build a media business which doesn’t rely on advertising. In a scenario where digital advertising is in the hands of a few large tech giants, the opportunity to build a business model based on advertising alone have diminished exponentially. In addition, while a few years back investors liked the idea of an advertising-based business model, things have changed. Thus, on the one hand, the time is right to start building up a membership base. On the other hand, if you’ll be asking for funding, an investor might like more the idea of a subscription-based business model. However, it isn’t simple to implement paywalls. It isn’t just like you tell people to pay and they do it. You need to know the options you have available based on what the others in the media industry are doing. This is the most aggressive type of paywall, where you simply get a small part of the article, like an introductory paragraph, or nothing at all, before you’re asked to subscribe and become a paid member. This kind of approach is aggressive and it might work for publishers that have a strong print presence, a strong and recognized brand, and a core advertising revenue base. 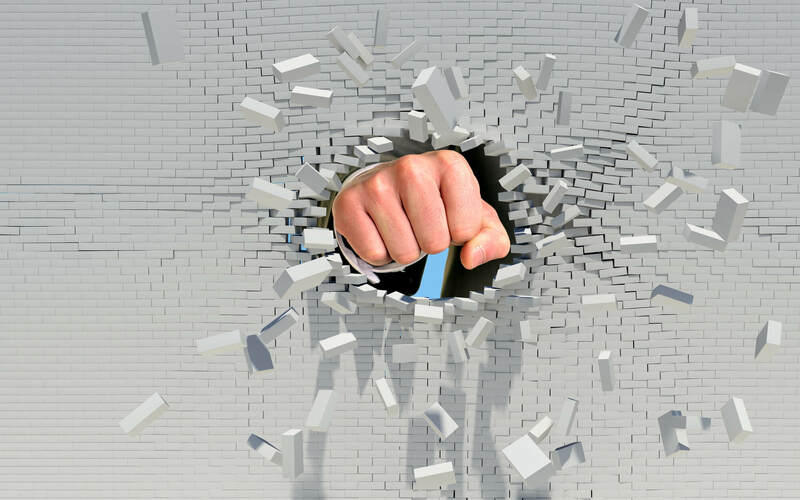 Implementing a hard paywall might also mean a loss of most of the free traffic to the site. Soft paywalls, also called metered access are among the most popular paywalls. In this scenario, publishers make available a certain number of articles to their readers until a paywall pops up. Thus, if you want to continue to read you need to become paid members. Financial Times The New York Times are among the most successful examples of metered access or soft paywalls. In this scenario, it is critical to determine after how many articles it makes sense for your free users to become members. You’ll need to experiment with pricing and the number of free pages before the access is paid. A freemium model is instead a mixed approach where you divide the site in free vs paid. While certain contents on the site will be free, other parts (think of insights, longer editorials or analyses) will be available just to paying members. In this scenario, it is critical to asses what part of the site is well suited to be free and what part to be paid. At the same time, the free section of the site can be monetized with advertising. The options above are the ones most used in the media industry. At the same time, business model innovation is the key ingredient for your venture success. Thus if you come up with new and creative ways to apply paywalls that might be your opportunity to build a profitable media business. Yet before getting started with paywalls, it is critical to evaluate whether it makes sense to your business. I’ve tried to put together a decision-tree that might help to make such a decision. According to Statista in the US in February 2016, of the newspapers with a digital subscription, 62% had a metered paywall, 12% used a freemium, and 3% have hard paywalls. This, of course, is a simplification, but it is important to really think it through whether or not it makes sense to apply a paywall to your media business. As larger publishers are all converging to a paywall strategy we might assume that it will be easier to convince part of your user base to switch to paid. However, you’ll need to make your offering compelling as they will have more options available. Wonderful article. I think startups can gradually shift to subscription models compared to bigger organisations.